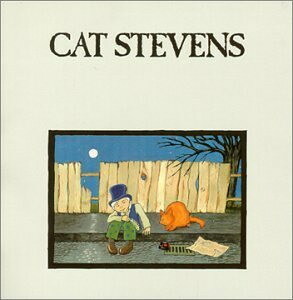 Teaser and the Firecat is the fifth studio album released by Cat Stevens in 1971. The album contains 10 songs including the hits "Morning Has Broken", "Moonshadow" "How Can I Tell You" and "Peace Train". It is also the title of a children's book written and illustrated by Stevens. The story features the title characters from the album cover, top-hatted young Teaser and his pet, Firecat, who attempt to put the moon back in its place after it falls from the sky. Published in 1972, the book has been out of print since the mid-1970s.